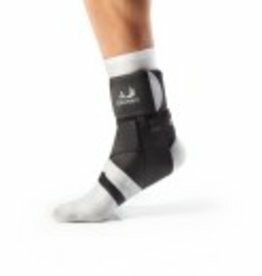 The Vector offers a fast solution to lower lumbar pain helping so you can maintain an active lifestyle. The mechanical pulley system includes gliding rollers for effortless compression to the lower spine giving immediate relief. Constructed from Bio Skin’s® patented thin, breathable, Ultima™ material, the Standard Elbow Skin™ keeps you cool and dry while providing outstanding compression for pain management.